The history of the International Institute of Public Finance begins in 1937. At that time, in response to a widely-felt need for an institute devoted to International Public Finance, Professor Edgar Allix, Dean of the Faculty of Law of Paris University in Paris, France, took the initiative. In July 1937, Professor Allix, a farsighted and enterprising man, proposed to bring into existence a “Congrès des Sciences Economiques et Sociales”. At the same time the idea of founding an “International Institute of Public Finance (IIPF)” was advanced in the section Finances Publiques of the Section presided over a committee charged with preparatory studies for the creation of the new institute. He was Professor of Law, but desired to free Public Finance from too tight an embrace with jurisprudence and to open it to economic analysis. The latter was, from the very beginning, one of the tasks of the IIPF. Early supporters of this idea in France included A. Michelson, R. Jacomet and A. Piatier. Dean Allix is rightly acclaimed as the Président-Fondateur of the International Institute of Public Finance. He would have been, no doubt, the first President of the Institute, had a cruel fate not willed it otherwise. Dean Allix unexpectedly died on June 23, 1938. There was both joy and sadness at the same time during the Institute’s inaugural Congress in 1938. The Institute had finally come into existence, yet the man who had done so much to bring it about was no longer there. During the inaugural session, held in the salon of the French Ministry of Finance on the 11th of July, 1938, the Président Fondateur was eulogized by the French Minister of Finance, Monsieur M. Marchandeau, Monsieur Henry de Peyster, a founder of the Institute, Professor William Rappard, founder of the Institute and Recteur of the University of Geneva, and Mr. C.W. Bodenhausen, President of the Association Internationale de Droit financier et fiscal. If man passes away, his work still stands, an adage which also applies to the founding effort of Dean Allix. Indeed by a stroke of good luck continuity was assured from the very beginning in the Institute’s history. The assistant to Dean Allix, our first Secretary, André Piatier, was intimately acquainted with what was to be the structure of the new Institute, as well as its intended tasks. He became instrumental in the Institute’s development prior to World War II, serving as its administrative custodian during the war years. Mr. A. von Suchan, Switzerland. In 1938, at the time of the first Congress in Paris, there were 140 Institute members. They came from 25 countries. Four countries, France, Italy, the United Kingdom and the U.S.A., accounted for 60% of all members. France alone furnished 24%. Among the members one finds three later Nobel Prize winners in Economics, namely, Friedrich August von Hayek, London, Gunnar Myrdal, Stockholm, and William Vickrey, New York. Other members, either at that time already internationally well-known in Public Finance, or destined to become so later on, were Robert Haig, New York; H. Laufenburger, Paris; Fritz Neumark, Frankfurt; Ugo Papi, Rome; Edwin R.A. Seligman, New York, and Carl Shoup, New York. About half of all members were either University Professors or teaching at the University level, the other half consisted of administrators and advisors, actively engaged in the practice of Public Finance. The membership in 1938 was still relatively small, but comprised many well established experts in the field of Public Finance. The official language of the Institute and its publications was, in 1938, French, but speakers could present their papers in German, English, Italian or Spanish, if they desired to do so. In the middle of the war, in January 1940, the Board (Comité de Direction) met for the last time in Paris. It decided to suspend all Institute activities until the cessation of hostilities. During the dark and cheerless war years it was Mr. André Piatier in Paris, by then the Secretary General, who held up the light. He carefully kept the documents and records of the Institute. He saw to it that communications between members, very much reduced, were maintained. With the end of hostilities and the advent of a new age, there also began a new chapter in the history of the Institute. The first post-World-War II Congress could be held in 1947. Important changes occurred in the IIPF in 1948, when Belgium assumed for some time the Institute’s leadership. After a lapse of years without a President, Max Leo Gérard, Belgium’s former Minister of Finance, was elected President. In 1950, Professor Carl S. Shoup of Columbia University, New York, became the third President of the Institute. When his term ended in 1953, there had been three successful Congresses in London (1951), Lisbon (1952) and Frankfurt (1953). Yet the Institute was in a period of consolidation, trying to find its way in the post-war setting. Invariably, some minor problems arose, but these were taken in a stride. Attending Congresses in the early 1950s was often beset with difficulties, especially for junior faculty members. The possibilities to obtain financial support were much more limited than in later years. On record is the case of a young British economist who could not present his fine paper at the 1950 IIPF Congress in Monaco for lack of travel funds. Also, advance knowledge as to when and where a Congress would be held left something to be desired. The when and whereabouts of the 1951 London Congress, for instance, must have been a sort of secret, much better known to foreigners than to British economists. A reliable source informed that, because of this lack of information, probably very few, if any British economists attended the event. Clearly channels of communication had to be improved. Other problems were more fundament, and satisfactory solutions could only be found with the passage of time, drawing on the goodwill and cooperation of all involved. One of these was the most desirable organizational form of plenary and/or working sessions. Initially the traditional view was that the meetings should be very formal. Relatively few papers would be given in plenary events, speakers addressing the entire company, without any “cut-and-Thrust” discussion. By necessity such an organization allowed for a few discussants only. Numerous questions from the floor could not be accommodated as the session chairman had to stay within narrow time limits. Many participants who had travelled from afar, had the frustrating experience of not being heard on subjects of keen interest to them. Others would take undue time reading already prepared statements, sometimes scarcely related to the subject under discussion. More discipline and cooperation was required if the work of the Institute was to be orderly and productive. Finally, at the IIPF Congress in Nuremberg in 1971, a stalwart session chairman put an end to this practice. As happened, it took the Institute a considerable time before it was ready for reform and to accept organizational changes for its Congresses which were most satisfactory to the majority of its members. Yet several searching steps were made in this direction, some at a rather early time. The Statutes, approved in 1938, had stipulated in Article 13, that the Secretary General was in charge of all publications of the Institute. During the early years of its existence, Congress papers were distributed in mimeographed from, followed after the war by publication in Public Finance/Finances Publiques, a new Durch journal created by Dr. J.A. Monod de Froideville. After his deatch, publication of this journal was taken over by the Netherland’s foundation “Stichting Tijdschrift voor Openbare Financien” registered in The Hague. In the early sixties, Professor Paul Senf of the University of Saarbrucken (Germany) was chosen as the new editor of the journal. Notwithstanding the close association between the IIPF and the journal, the two remained separate entities. Publication of IIPF Congress Proceedings in the journal was continued until 1971. After an interim period, the IIPF undertook its own publication in 1975. Professor Senf, during his tenure as Secretary General, and Professor Alan Peacock as President made considerable efforts to increase the number of members coming from socialist countries. These efforts were successful with such membership reaching 8 % in subsequent years. In the 1980s the IIPF had members from all socialist countries, except the People’s Republic of China, North Korea and Albania. The first IIPF Congress in a socialist country was held in Poland in 1961. Subsequent developments in the IIPF occurred at a rather rapid pace. The Secretary General, Paul Senf, had in agreement with the President established a special Steering Committee. It operated for some time, meeting on and off in Brussels or Saarbrucken. The Committee did useful work as an interim solution. It had become apparent, however, that the Institute needed a thorough reform. Its administrative structure had to be changed, with lines of communication between its various officers and the members to be clarified and rendered more efficient. Moreover, the financial situation of the Institute had to be improved. Finally, the publication process had to be streamlined. To this end a special committee was established and met twice in Saarbrucken in 1977-1978. At its second meeting a set of new statutes were drawn up. These statutes superseded those of 1938 and differed from them in several important respects. Among others, they abolished the position of the Secretary General and replaced it with an Executive Committee consisting of three members. They made the admission procedure for new members less restrictive and they allowed for corporate membership. 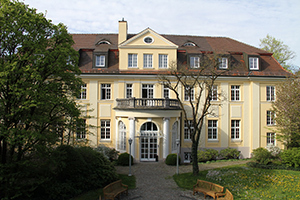 The legal seat of the Institute changed from Paris to Saarbrucken. The Institute became registered as a Verein at the District Court of Saarbrucken. French, English and German became the official languages. On the whole, the new statutes, which were subsequently supplemented by Bylaws, were much more specific than those of 1939. The provided simple but flexible rules for a complex organization. In retrospect the Institute has lived well with them and they have proved to be useful over the years. Recently they have been used as a model for the statutes of another international organization. 1981 was the beginning of a most fruitful cooperation with Wayne State University Press in Detroit, Michigan which published the conference volumes until 1989. From 1990 til 1994, conference proceedings were again published in a special issue of the journal Public Finance/Finances Publiques. In 1995, the IIPF subscribed paid-up members to the journal International Tax and Public Finance where, starting with the 1995 (Lisbon) Congress a selection of conference papers is since then being published in one number (mostly no. 4) of each volume. In the year 1987 the IIPF celebrated its 50th anniversary and on that occasion returned to the City and University of its foundation:. The 43rd Congress was held at the Sorbonne in Paris . The Lisbon Congress of 1995 marked an important change in the Institute's Congress format. Conferences were opened to a general public: young scholars were invited to submit papers on any field of research in public finance and public economics. The annual Congresses are still devoted to one special subject area and well-known scholars working in the respective area are invited to present papers in plenary sessions. In addition, quite a few working sessions are being organized where accepted papers outside the general subject area are presented. A Scientific Committee is set up for each Congress screening the submissions. As the Institute looks back over more than 70 years, it can take pride in having enhanced the science of Public Finance and having strengthened cordial relationships between countries and individuals. It has contributed to mutual goodwill and understanding world-wide.